WASHINGTON (Reuters) - The university professor who has accused Brett Kavanaugh, President Donald Trump's Supreme Court nominee, of sexual assault will testify before a Senate panel on Thursday about her allegation, her lawyers and the committee said on Sunday. Kavanaugh also has agreed to testify at the Senate Judiciary Committee hearing planned for 10 a.m. on Thursday. The potentially explosive hearing, against a backdrop of the #MeToo movement fighting sexual harassment and assault, comes just weeks before Nov. 6 congressional elections in which Democrats are trying to take control of Congress from Trump's fellow Republicans. "This is a smear, plain and simple," Kavanaugh said. 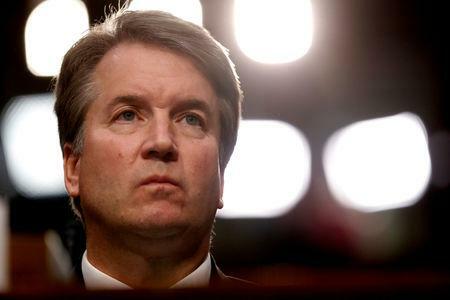 "I look forward to testifying on Thursday about the truth, and defending my good name - and the reputation for character and integrity I have spent a lifetime building - against these last-minute allegations," Kavanaugh said in the statement.